Like many of you, many of us at The Dodo continue to be sickened and deeply troubled by the unstoppable slaughter of Africa's elephants. This makes the story of Satao - posthumously celebrated as one of the most majestic and massive tuskers in Africa - all the more poignant on the 1-year anniversary of his death. Satao was shot dead by poison arrows on May 30, 2014. Satao was some 50 years old when he was butchered by poachers. At more than 50 pounds apiece and more than 6 feet long, his tusks were said to be some of the largest in the world. Wildlife filmmaker Mark Deeble filmed Satao a year before his death. In his astonishingly beautiful blog, Deeble wrote about the tusker and the stories that surrounded him: "He was living on a community ranch, notorious for its gangs of armed Somalis that poach elephants. According to our source, the huge bull hid in very thick bush during the day - only emerging to feed when it was dark." When Deeble finally did film Satao at a Kenyan watering hole, he referred to it as a "mirage." "Other elephants stood sleeping, clustered in the shade of acacias, apparently unaware of the bull's approach. He didn't walk straight to water. It took him almost an hour to cover the final kilometer as he slowly zig-zagged from one bush to another. The glint I'd seen, came whenever he turned his head and appeared to bury it in a bush. Each time he did, he'd wait a few minutes, partially hidden, then continue zig-zagging upwind, scenting the air, to check there wasn't a poacher hidden at the waterhole." But Deeble further describes the indelible and ironic impression Satao's behavior made upon him. "I was mystified at the bull's poor attempt to hide – until it dawned on me that he wasn't trying to hide his body, he was hiding his tusks. At once, I was incredibly impressed, and incredibly sad - impressed that he should have the understanding that his tusks could put him in danger, but so sad at what that meant." 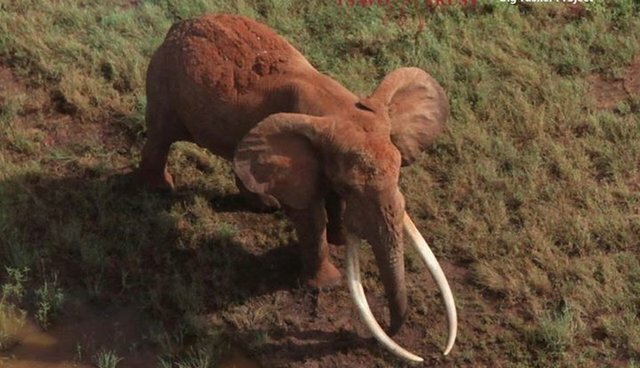 The Great Elephant Census/Vulcan Inc.
Satao hailed from the Tsavo ecosystem in Kenya and he was last seen alive on May 19, 2014. Tsavo Trust monitored Satao, along with the Kenya Wildlife Service, for the 18 months leading up to his slaughter. "When I used to spend time with Satao, he never ceased to amaze me for he must have endured so much over his long life span of approximately 50 years. From witnessing the poaching holocaust of the 1970s and 80s (where many of his friends and relatives would have lost their lives for their teeth), to the many droughts over the years and even poaching attempts on his life. The fact that an elephant with such magnificent ivory and stature even existed until this time last year staggers me...."
Paula Kahumbu, CEO of Wildlife Direct, wrote in her column in The Guardian: "It is 4 a.m. and I have been sitting at my computer for hours. 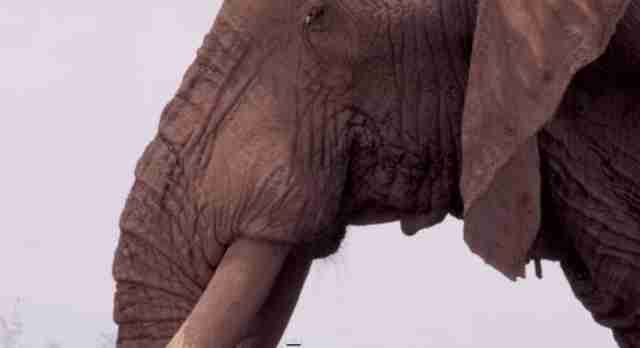 I just can't sleep after hearing the terrible news that Satao, the world's biggest elephant, is dead." And the Great Elephant Census released this memorium which includes perhaps the last footage of the elephant while he was alive. The video also contains graphic images of Satao after his death. Today, a year later, Liz Georges, U.S. 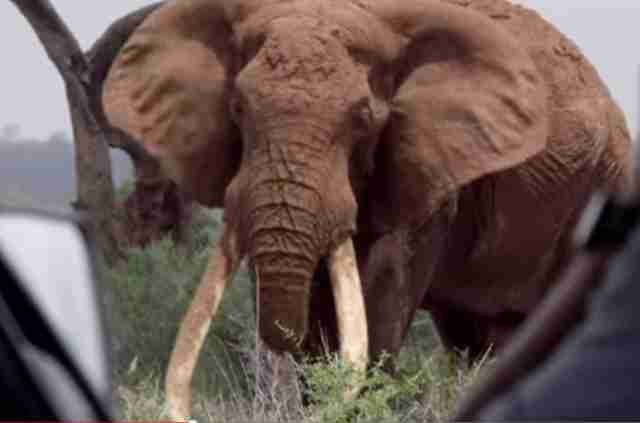 Manager of Tsavo Conservation Group refers to Satao's death as a clarion call - "that one of the most majestic elephants on earth could fall victim to the scourge of poaching, his face literally hacked away so his tusks could be sold - was a shock to many." She continues: "The people of Tsavo and of Kenya grieved, and others from around the globe mourned with them. I know every day at Tsavo Trust we think about it." Here are just a few of the local groups working to safeguard Kenya's elephants: Tsavo Trust, Big Life Foundation, David Sheldrick Wildlife Trust, Wildlife Direct, Elephant Voices, Save The Elephants and Amboseli Trust for Elephants.